Start trading in minutes, even if you're new to the stock market. 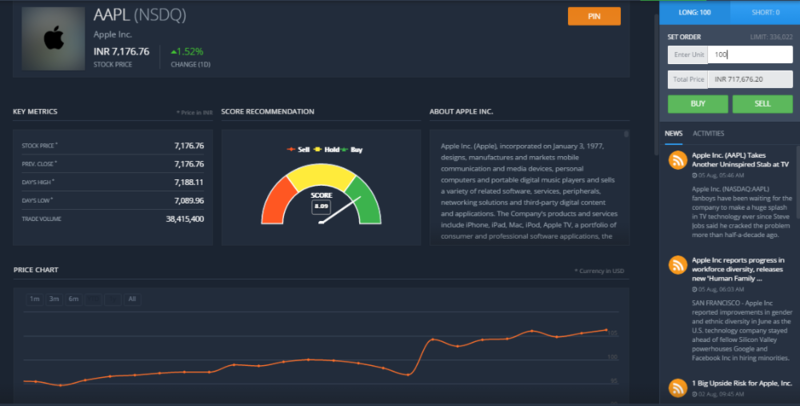 There are four ways that you can find stocks to trade on Trakinvest. Use the browser to navigate through markets, sectors, and stocks based on their current performance. You'll first see the market tiles (which may change in size depending on their performance in real time). 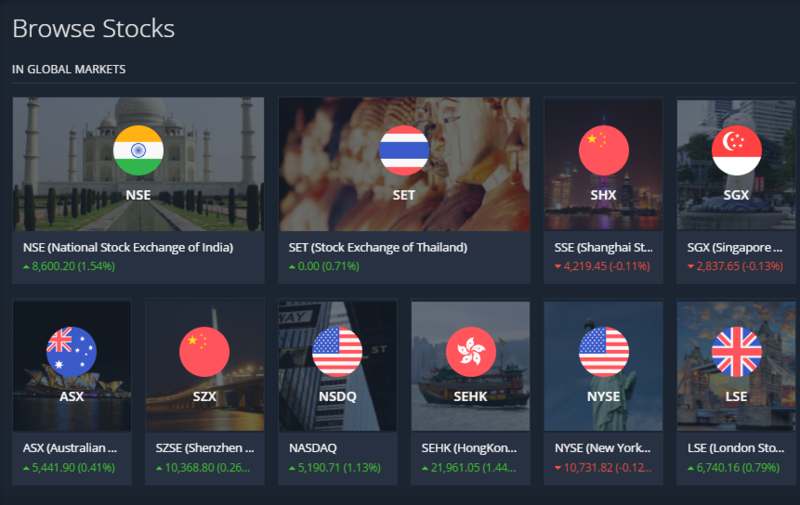 Clicking on any one of the market tiles will reveal industry tiles, and subsequently the tiles for related stocks. As you scroll further below the market tiles, you will see a list of the top players based on their trading performance. Following them and copying their trades is a great way for those new to trading to cut short their learning curve. Get a Premium or Pro account to start building your value network and improve your performance. 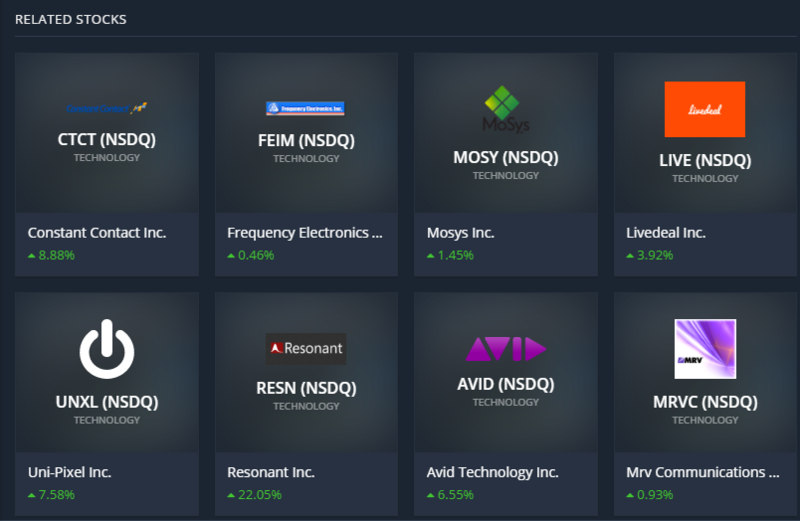 Trending stocks are listed and ordered based on how other users are trading them in real time and can change accordingly. Use this to catch on to what’s popular within the Trakinvest community. The Search Bar on top is useful if you have a particular company or stock in mind that you want to trade in. Simply type the name into the field (for example, Google) and you will see a drop down with an option to trade. The news stream bar contains a selection of curated news articles, sourced from around the web. The platform's algorithm identifies and delivers news most relevant to you, and is updated in real time. Each stock has its own stream, which is populated based only on news pieces for that stock. As you move through markets, or stocks, streams change and become relevant to the new market or stock you’re in. This section also contains the Activity Feed, which shows you trades from people you Trak. What is Trak’ing? Keep an eye on the competition! 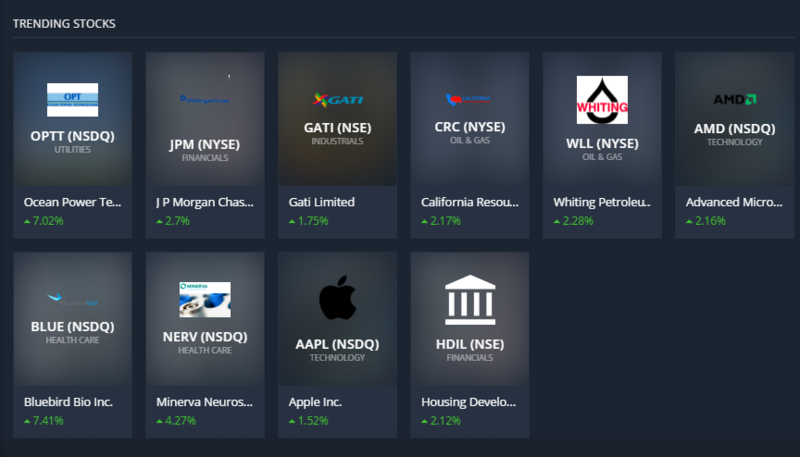 Check out Top Performers and Related Stocks. 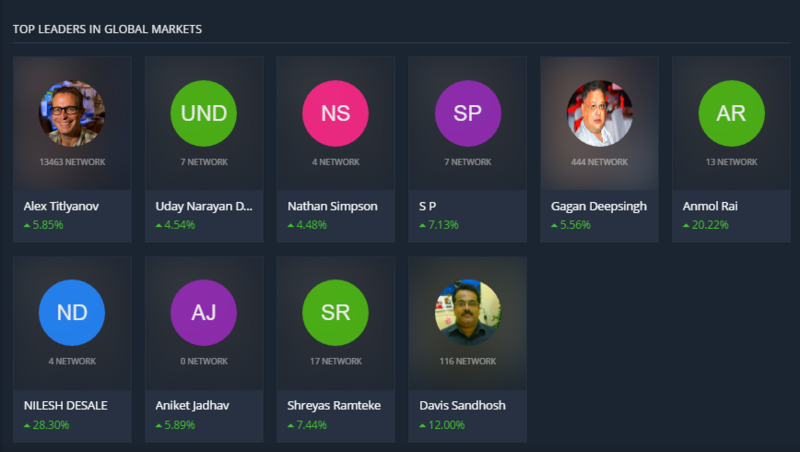 Bobby recently got a Premium account on Trakinvest and is ready to build his virtual portfolio further. Bobby starts at the browser, and clicks on the big NSE market tile, because it is performing best today. Then he sees that the Telecom industry is also performing well today so he selects that. He looks through that sector, and eventually purchases Tata Communications. While on Tata Communications stock tile, Bobby glances at the ‘Related Stocks’ segment, and notices that Bharti Airtel is doing well too. He reads news articles on it from the news stream, and decides to buy it as well. Back on the home screen, Bobby sees that Reliance is trending, and is up 5.9%. He decides he is not ready to execute an order but pins the stock so he can monitor its performance.